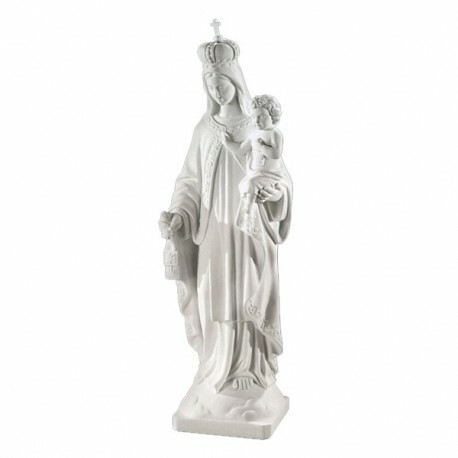 Statue of the Virgin of the Carmel 80 cm. Statue of Our Lady of CArmel, 80 cm, of white marble dust, handmade in Italy. Dimensions: h80x25.5x24. With a higher price there is also of shiny white or bronzed. Her de nomination derives from the Carmel Mount, in Palestine, during the age of the Phoenicians or the Philistine. According to the Bible, the Mount was destination of the Christians and of the aspirant of the Gospel’s advices. It was built a temple dedicated to the Virgin, who was also called Virgin of the Carmel. This temple became insufficient for the many pilgrims who went there, so many hermits went through Palestine and East, to divulge the Virgin’s rite. The Virgin appeared to Saint Simon Stock on the 26 of June 1251. She gave him a scapular, disclosing him out standing privileges for his devotion. 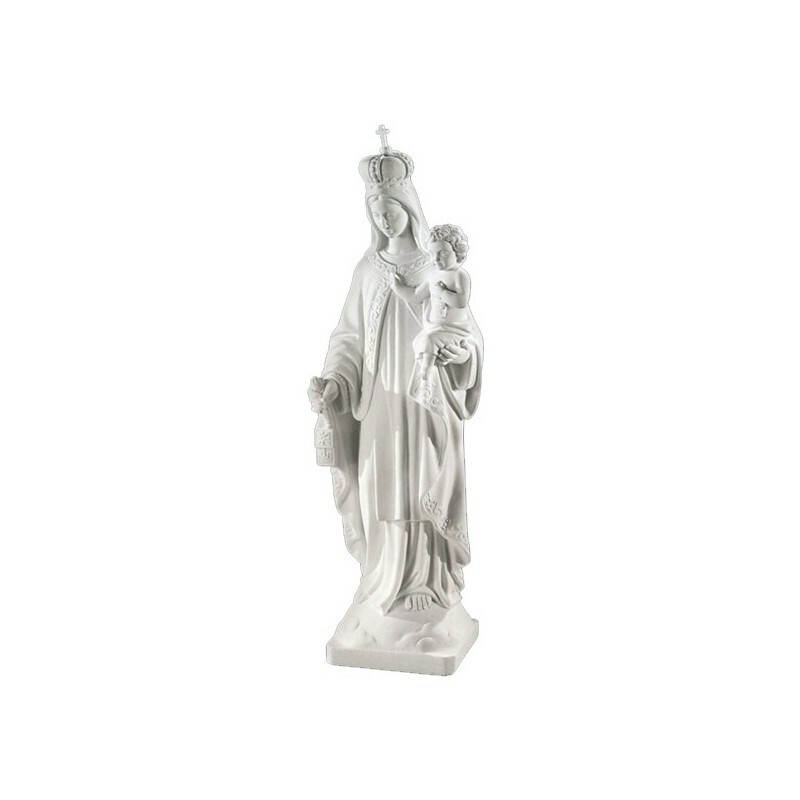 Ever since, on the same date, the Virgin is commemorated with impressive processions. In the classical iconography she is illustrated with the Baby, while giving the scapulars. The clothing is that of the Carmelitan Order.